Assignment 2 cupboards made with recycled wood from old church benches. The wood is extremely dry, and therefore light. 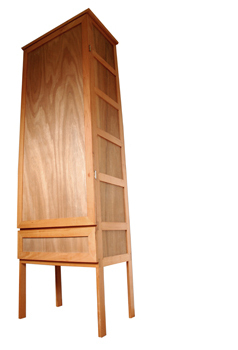 Constructed as a lightweight volume with dovetail joints.